Attempting to plan and manage projects in isolation is like using GPS to drive in traffic with your eyes closed. - Plan thoughtfully, expecting change. Multi-project management requires each project to be consciously planned and executed to a much higher level than necessary to complete it in isolation. Planning is a tool that you and the team will use to deeply understand each project and its interactions with the rest of your operating environment. Change will happen; expect it and be ready. Even when a project’s scope does not change, outside factors such as staff availability, and regulatory reviews typically seldom follow your expectations. - Never waste time with accounting. Set up a few standard reports that give you the information needed for regular high level multi-project overview and single project details on demand. Use a consistent work breakdown structure that is meaningful to you, the team, and client. Include budgets and deadline benchmarks for manageable size tasks (e.g. 4-6 week duration and 40 man hours). Let time sheets and financial services provide the information for you to lead efficiently. - Choose resources wisely for flexibility. Select diverse project team members whose competing demands are unlikely to auto-correlate. Although, most team members should be familiar to you, consciously include a few new members. They will begin to expand your core team and become a reserve posse for those times when you need extra help. Promptly weed out people from your roster that are too weak, needy, or unreliable; and tirelessly cultivate the best and most promising ones. - Be selective in the assignments you accept. Say yes only after careful consideration. Manage commitments to suit available resources. If you do not understand your work load, you cannot say yes. Make crisis perpetrators aware of the havoc they are inflicting on you and others. Insist that they help mitigate the impact. Recognize the cost of lost opportunities when chasing emergencies. - Manage in real time. Convey the strategic intent for each assignment by providing more examples than explanations to your team. Follow up frequently, consistently, and rigorously. Listen carefully while insisting on completed staff work. Refuse upward and reverse delegation. Reward your team as they develop a can-do competent culture. Thoughtful planning provides the deep understanding and common ground you need to command from when the situation gets out of control. Learn more about how to effectively manage multiple projects by attending PSMJ's A/E/C Project Management Bootcamp. This Bootcamp is a revolutionary training like no other--through interactive case-studies, real-world examples, and proven solutions, you will foster innovation, elevate communications, increase productivity, and improve your firm's bottom line. PSMJ is now accepting registrations for our Spring 2012 A/E/C Project Management Bootcamp series - instantly and dramatically improve your ability to manage projects for quality, speed, and profitability with PSMJ’s two-day intensive PM training seminar. Click here to order or contact PSMJ Education Department at education@psmj.com or (800) 537-7765. After spending a career helping companies engage their employees to drive business results, I suddenly realized that having engaged employees by itself is not the answer. I still believe engagement is the secret sauce that separates you from your competition, but engagement, along with profit, revenue growth, innovation, quality, and customer satisfaction, are by themselves all outcomes of something bigger. Employee engagement, profit, growth, and client satisfaction by themselves are not sustainable. Neither is solid leadership. Leadership, traditionally defined as the ability to lead people, build fellowship, and make money, is so yesterday! Today, leadership is about creativeship; defined as the creation of sustainable cultures and business models. Creativeship will allow a business to compete and thrive in this world of unprecedented technological advances, globalization, shifting economic drivers, government intervention, changing workforce demographics, vastly different motivational drivers with Gen X, and the emergence of corporate social responsibility as a motivational driver. Purpose. Organizations need to articulate both their “what we do” and their “why we do it.” A firm’s employment value proposition (EVP) needs to identify its “why” if they want to retain, attract and hire the best employees of tomorrow. Engagement. Luckily, we’re seeing evidence that more and more leadership teams are asking their human resources and organizational development staffs to build engaged workforces. According to December 2010’s Economic Intelligence Unit, 84% of C-Suite survey respondents reported that that “disengaged employees” is one of the biggest threats to their business. Successful initiatives will link engagement efforts to high performance while minimizing employee satisfaction goals. The last thing you want is a team of satisfied but underperforming employees. Performance. Creating sustainable cultures of performance at both the company and individual level is key. Innovation. Creating cultures of innovation fosters both engagement and sustainability. Companies fail when they cease evolving their product or service, or internal processes. Creating cultures of innovation and sustainability requires investing today’s cash to discover tomorrow’s new technologies, products, services, geographies, and approaches. Branding. Social media is a huge engagement, staffing, retention, and increasingly, branding tool. The benefits of linking one’s employment brand to one’s service or product brand, a process called product/employment co-branding, is essential. But now, in order to build sustainable cultures and business models, a third dimension is necessary - tri-branding. Tri-branding occurs when companies build tenacious customer brand loyalty and passion – a process made easier today with the emergence of social media as an everyday communications (and branding) tool. Growth. The old business adage, “Grow or Die” is at the core of creativeship. In this era of globalization and technological advances, companies need to understand that they will perish if they don’t evolve, grow, expand, and morph. Companies who are local need to think regional; companies who are regional need to think national; companies who are national need to think global. At the employee level, creativeship is about creating cultures of personal growth and development. For more information on creativeship and what it means for your firm, register for PSMJ’s upcoming A/E/C Industry Human Resources Summit. The HR Summit is a senior level HR-oriented event specifically designed to address the increasing needs and demands of senior leaders of HR, as well as other key executives who deal with critical employee and firm issues on a daily basis. Through panel discussions and best practices presentations, you experience successful real-life case studies and receive A/E/C survey results, while networking and asking your peers for their proven solutions to problems just like yours. For more information, click here to download the program brochure or contact our Education Department at education@psmj.com or 617-965-0055. PSMJ Resources, Inc., the leading source of management training and consulting for the architecture, engineering, and construction (A/E/C) industry, is pleased to announce that David Whitemyer, AIA has joined its growing newsletter team. David’s primary focus is in writing and producing PSMJ’s three hard-hitting newsletters on firm leadership and management for the design and construction industry. PSMJ’s President and CEO, Frank A. Stasiowski, FAIA stated, "We are thrilled to have David on our team. His passion for delivering news, tips, and advice to our valued clients will elevate the quality our long-time subscribers have come to expect from our newsletters.” Stasiowski further commented that “At PSMJ, we’re dedicated to constantly providing the fresh insight and cutting-edge thinking that our clients need as they seek out opportunities to recover, reposition, and pursue sustainable growth going into 2012 and beyond. Bringing David to our team is just one more indication of this dedication and the unmatched experience and insight that we bring on the issues that matter most to our clients." David is a licensed architect formerly of the firm Christopher Chadbourne & Associates, an internationally renowned exhibit design firm based in Boston, Massachusetts, where he served as a Principal and Director of Production. He has 18 years of experience in exhibition planning, as a designer, detailer, and specification writer. He as Project Manager for the development of exhibits at over a dozen institutions around the country, with clients that include the National Park Service, Smithsonian Institution, National Museum of the Marine Corps, and the National Museum of the United States Army. David is also an established writer, with articles recently featured in Perspective (International Interior Design Association), Iowa Architect, Fidelity’s Stages, PM Career Track, and Harvard Management Update. He is a frequent industry lecturer, and has taught at Wentworth Institute of Technology in Boston, Massachusetts. A native of the Midwest, David holds a Bachelor of Architecture from Iowa State University. On his off-time, he currently serves as Vice Chair on the Board of Trustees at the South Shore Charter Public School in Norwell, Massachusetts. He also enjoys running, woodworking, hiking, and spending time with his family. He can be reached at 617.965.0055 or at dwhitemyer@psmj.com. PSMJ Resources Inc., a Massachusetts-based provider of published information, educational programs, and consulting for the architectural, engineering and construction (A/E/C) industry, is pleased to announce the upcoming dates for its A/E/C Industry Summit. This 5th annual conference will be held on December 6-7, 2012 in Orlando, Florida. The Summit will also feature a pre-conference session on December 5, and plenty of networking opportunities for the attendees. Now in its fifth year, PSMJ’s A/E/C Industry Summit is a packed two-day schedule of events. From start to finish, keynote and focus sessions are designed to cover the most pressing business issues and challenges facing firms in virtually every facet of the industry. The opportunities for learning and networking at PSMJ’s A/E/C Industry Summit are unmatched. Attendees will hear directly from the leaders of some of the industry’s most successful firms and some of the industry’s top strategic thinkers. New this year, the conference will be divided into four specific session tracks, including Strategic Growth & Capitalization Strategies, Sales & Marketing Strategies, Project Delivery & Technology Directions, and Human Resource Opportunities & Financial Management Issues. PSMJ will also take the opportunity to honor its 2012 Circle of Excellence and Premier Award for Client Satisfaction winners at our Awards Banquet. There will also be an opportunity to hear the secrets of success directly from our honorees at our Circle of Excellence general session panel on December 7. For more information about the Summit, or to register, go to http://www.psmj.com/training-and-education/conferences.html. Any additional questions may be directed to our Education Department at education@psmj.com or (617) 965-0055. 1. Bring the right people. The strategic planning retreat should be run with a small group of firm leaders who actively participate in the meeting—including a cross-section of people from the firm, especially someone representing the young professionals. PSMJ recommends that the planning team be between seven and 15 people. 2. Go off-site. Seldom can a planning retreat be held effectively in your offices. Too many interruptions, potential distractions, and tardy participants make it impossible. 3. Hire a court stenographer. None of the participants should be expected to record all the information discussed during the meeting. Hiring a court stenographer that can capture the critical information will make writing your strategic plan more effective. 4. Use an outside facilitator. Use of an outside facilitator brings an unemotional professional that can keep your team on track, and remove any individual biases that could influence your plan. Be certain that your facilitator knows the design industry, and that you provide an abundance of advanced data about your firm, its markets, its clients, and all previous strategic planning efforts. 5. Don’t let the facilitator write your plan. Your team should write its own plan for greater commitment to the outcome. 6. Title the plan “DRAFT.” Good strategic plans are fluid not rigid. By labeling your plan “DRAFT,” you encourage everyone to participate and to comment on the tactics and activities required to achieve your goals. 7. Built in accountability. The plan is not a strategic plan without specific actions, tactics, deadlines, and assignments given to individuals by name to assure accountability. 8. Establish regular reviews. Before leaving your planning retreat, coordinate calendars with all participants for a minimum of four reviews per year. Review meetings should be brief, off-site, with nothing else on the agenda but to review the goals and assignments that are part of your strategic plan. Need help creating your strategic plan for 2012 – PSMJ can help! Over the past 30 years, PSMJ has assisted hundreds of A/E/C firms worldwide with their strategic planning efforts. 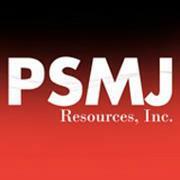 Our unrivaled expertise and a smart objective point-of-view makes PSMJ an ideal partner for strategic planning. Don’t hire a consultant who will learn the A/E business at your expense. Ask the hard questions to find someone you can trust to get it right. Whether your needs call for a new fully executable strategic plan or a refresher for your current plan, we are here to help. To learn more about PSMJ’s strategic planning capabilities, contact Kim Pazera at 617-965-0055 ext. 138 or kpazera@psmj.com. The American Institute Architects’ Architecture Billings Index reported substantial gains for the month of November - the strongest since the fourth quarter of 2010. While inquiries for new projects also increased sharply, the biggest gains were seen among residential and commercial/Industrial firms, and those in the Southern U.S. The Architecture Billings Index (ABI) serves as the leading economic indicator of construction activity, and reflects the approximate 9-12 month lag time between architecture billings, and actual construction spending. The monthly ABI scores are centered around 50, with scores above 50 indicating an aggregate increase in billings, and scores below 50 indicating a decline. The ABI registered a score of 52 in November; a substantial increase from the 49.4 registered in October. November’s index value marked the fourth month in 2011 that the ABI has been positive, closing in on the end of a year where billings have remained fairly steady. While this upswing could prove to be short-lived - we’ve seen repeating ups and downs since the recession – November’s index will hopefully transition us from the relatively flat year of 2011 into a more prosperous one in 2012. While average numbers are up across the country, some business sectors and geographic regions are doing better than others. With normal monthly data revisions based on three-month moving averages, residential firms have now reported three straight monthly billing gains, with the November reading currently the strongest since before the housing downturn. Commercial/industrial firms are matching this performance as well, with three straight healthy months. Firms in the South have reported strong growth over the past two months, and those in the Midwest and Northeast are also showing signs of improvement. If the economy can continue to gain momentum, we can be cautiously optimistic about improving conditions going into 2012. In 2011, there was a split between the share of firms reporting revenue declines of 5% or more and those reporting increases. As a result, firm revenue is estimated to have increased just 0.4% on average. While 27% of architecture firms expect their revenues to decline at least 5% from 2011 levels, 42% expect revenue to increase by at least that amount in 2012. Overall, firms are forecasting revenue gains averaging just below 2% for the year. Larger firms expect to do a bit better than average in 2012, with firms with annual revenues in excess of $5 million anticipating revenue growth of 3.2% on average, compared to 1.6% growth for firms with revenues of less than $1 million. Commercial/industrial and residential firms are expecting stronger revenue growth than institutional firms. In terms of staffing needs, just over a quarter of firms (27%) think that they probably or definitely will add staff in 2012, but just under 40% anticipate that they probably or definitely will not add staff. The remaining third are not sure what their staffing changes will be over the coming year. By region, the ABI breaks down as follows from October to November: Northeast is down 49.1 from 51.7, Midwest is up 50.9 from 47.7, West is up 45.6 from 43.5, and South is up 54.4 from 49.1. By market sector: Commercial/Industrial is up 53.9 from 53.5, Institutional is up 48.9 from 47.3, and Residential is up 55.8 from 51.3. • Several large projects that were waiting to move forward are now in design. We believe that 2012 will be a better year, with revenue almost returning to 2008 levels. • The monthly ups and downs of the construction environment have made us modify our work model. Most projects are completed in association with a local architect. Any drafting work done in-house is completed by contract draftsmen rather than permanent staff. • The value of projects is approximately half of a few years ago. Clients are taking longer to pull the trigger, and the competition for work is high. • There is an apparent slowdown in what we would consider larger projects (over $10 million). There are several midsize and smaller projects that all firms can lobby for; therefore, there is great competition, lower fees, and the resulting lower profit margins. 1. Visit every one of your best current and repeat clients. Strengthen the relationships and explore every avenue of their business to learn about both short-term and long-term opportunities. Make face-to-face contact with current, potential, and future clients. 2. Re-tune your promotional tools to be more targeted. If your marketing collateral still makes you look like all things to all people, revamp it to emphasize your depth of specialized expertise for carefully targeted markets. More than anything in the current economy, clients seek firms that know their business inside and out. Make your marketing materials more client-centric. Visit your local zoning agency to learn who is requesting zoning variances or rezoning land for commercial or industrial development. - Circulate among local business and trade associations, service organizations, and your local chamber of commerce to uncover leads and make yourself known. - Attend local town board meetings to find out more about the problems and concerns of local communities. - Create a lead exchange group. Recruit members of non-competing firms and meet once a month to exchange leads. 4. Pay attention to office morale. Many employees have been beat up by pay cuts and layoffs around them. Initiate whatever activities might help to maintain or boost morale in the office. 5. Reshape your organizational concept. Do an internal analysis and gauge your strengths and weaknesses. Figure out what you need to change and then set it in motion. 6. Trim fat off every category rather than wipe out areas entirely. In slow times, your marketing budget could come under scrutiny. But keep a steady hand. You need to keep business coming in. Be more selective with marketing endeavors and attend seminars/networking events close to home. 7. Take the time to update staff resumes. Put the most impressive facts first and then leave out the fluff. The client is not more interested in who the project manager is and what similar projects they’ve completed recently instead of what college they attended over a decade ago. 8. Target your opportunities wisely. Make sure that you know what is happening in your target markets. Identify your firm’s niche specialties and make sure that you learn everything that you can about your client’s business in these areas to stay ahead of your competition. In addition to these ideas, don’t forget the basics for business success. Be responsive, stay fresh, and earn your clients’ trust and respect! As a firm leader, you should know the ins and outs of building business in the “new” economy. Learn more about how to get ahead of your competition and really integrate your firm into your client’s long term plan. Join PSMJ this spring for our Business Development for A/E/C Firms seminar, coming to 6 locations across North America. Get the tools and confidence you need to succeed in bringing in more work for the firm – register today! • Instead of having your mental checklist, saying to yourself, “Yes, we can do that,” try asking “What attribute do we have that makes us uniquely the best choice for this project?” If you don’t have something unique, you likely can’t convince the client that you are the best choice. Hint: No other firm has your people, so there’s a unique differentiator right there. And no other firm has your portfolio of projects. So, between people and projects you should be able to identify a differentiator. • Read the RFP while thinking like the client. Ask yourself if the client actually wrote the text of the RFP. If the style is different from what you recognize as the client’s style, could it be that the RFP was written by one of your competitor peers? If so, that’s a red flag right there. • Is the RFP especially detailed or intentionally vague? If much too detailed, it may be that the client has already selected the preferred provider and the level of detail is provided to help weed out others. If especially vague, is the client fishing for ideas? Another hint: If you don’t know the client well enough to get a sense for what the RFP language will look like, you may not know the project well enough to propose and win. • Look for contradictions and ambiguities and highlight them. You will want to be sure you get any questions about the RFP back to the client in advance of their stated deadline for questions. • Have at least three people independently read the RFP. Each person reads from his or her own frame of reference. So having more diverse input into what the RFP actually says gives you a better understanding of what the client really needs. • Can you identify the client’s hot button issues from reading the RFP? Do you know the client and project well enough to understand the issues and why they are issues in the client’s mind? One more hint: If you really know the client and project well, you will know if the stated hot buttons are the only ones, or if there are some left unstated. If you recognize unstated hot buttons and are sure that they are indeed issues, then you will want to weave those into your proposal. The RFP provides the official window into the client’s thinking and paves the way for your proposal effort. Get the best start on a winning proposal by reading the RFP using these tips! Learn more how to get on your client’s short list and win the project every time with PSMJ’s Business Development for A/E/C Firms seminar, coming to 6 locations across North America. Get the tools and confidence you need to succeed in bringing in more work for the firm – register today!